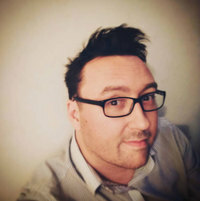 Barry J. Hutchison is an award-winning author, screenwriter and writer of comics. Having written over 70 books for children and teenagers, Barry is now writing books for adults. Space Team is his first grown-up novel. Barry lives in the Highlands of Scotland with his wife, two children, and irritatingly upbeat dog. Back in August last year, I came to the conclusion that I was overweight, out of shape, and needed to do something about it. In order to hold myself accountable, I set a weight loss target (28 pounds in 7 weeks) and posted regular updates in the Team Space Team Facebook group. We’d love your help. Let us know what’s wrong with this preview of Worst Ever School Trip by Barry Hutchison.